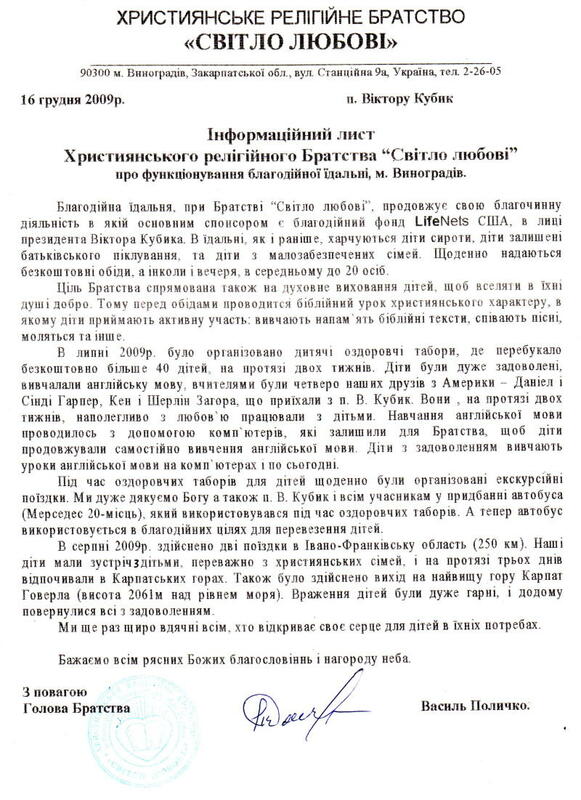 The charitable soup kitchen at the “Light of Love” Mission continues its benevolent work through the sponsorship of the American charity called LifeNets headed by Victor Kubik. In the soup kitchen, as before, orphans are fed as well as those who have been neglected by their parents and from those of very impoverished families. Every day we serve lunch without cost and periodically dinners for an average seating of 20 children. The purpose of the Mission is to also provide spiritual direction for the children, to put some goodness into their hearts. That’s why before meals we provide a Bible class about Christian character and living. The children play an active role by learning biblical texts, singing songs, prayer and more. 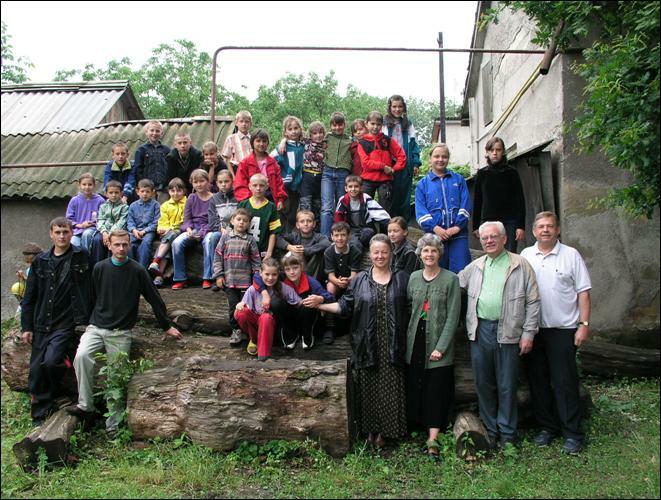 In July 2009 we organized a camp program for about 40 children for two weeks. The children were excited to learn the English language. The teachers were four of our friends from the United States wjp were Dan and Cindy Harper, Ken and Cherie Zahora. 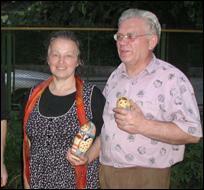 They came with Victor Kubik and worked tirelessly and lovingly with the children. They taught English with the help of computers that were left behind at the Mission so that the children could independently learn the English language. The children love studying this way to this very day. During the camp program the children were given daily excursions. We are thankful to God and also Victor Kubik and all those with him for acquiring a 20-seater Mercedes van which we used a lot during the camp program. 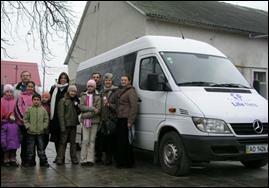 We now use the van to transport the children as part of the work of the Mission. In August we took a trip to the Ivan-Frankivsk oblast (about 250 kilometers away). Our children had meetings with other Christian families and had a very enjoyable time in the Carpathian Mountains. At this time we took a hike up to the highest point in the Carpathians, Mount Hoverla (elevation 2061 meters above sea level). The impressions of the children were very positive and they returned home very happy. We are once again thankful to all who have opened up their hearts for these needy children. We wish you all God’s blessings and a reward from heaven.